Few individuals have had as prolific of a guide career as JD Love. 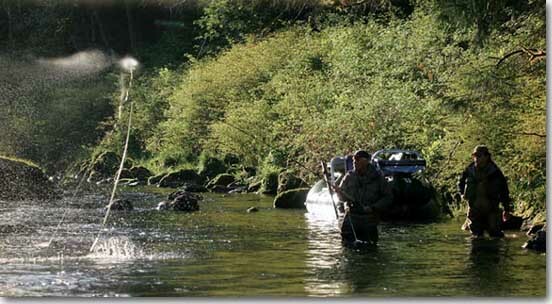 He began sharing his passion of chasing steelhead on the fly back in 1979. "Seasoned veteran" doesn’t even come close to describing his vast experience on the steelhead rivers of Washington’s Olympic Peninsula. In our phone conversation about this website, his enthusiasm for the sport was obvious. JD’s key to success: "Persistence... It takes a lot of casts to find a steelhead. Guys spend a good deal of money to come up and fish with me. I fish long days because that’s what it takes to find fish, and that’s what my clients expect. 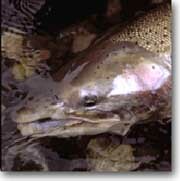 You can’t go out there for a few hours and be successful, steelhead take time." says JD. Outside of JD’s incredulous work ethic, he is at the forefront of two-handed casting and fishing instruction. While he fishes heavier two-handers during high winter flows, his weapons of choice for summer fishing are the shorter switch rods and light two-handers. More so, JD has the ear of Sage when it comes to input on rod design. So chances are, if you fish a Sage, there’s a little bit of JD’s passion built into it.